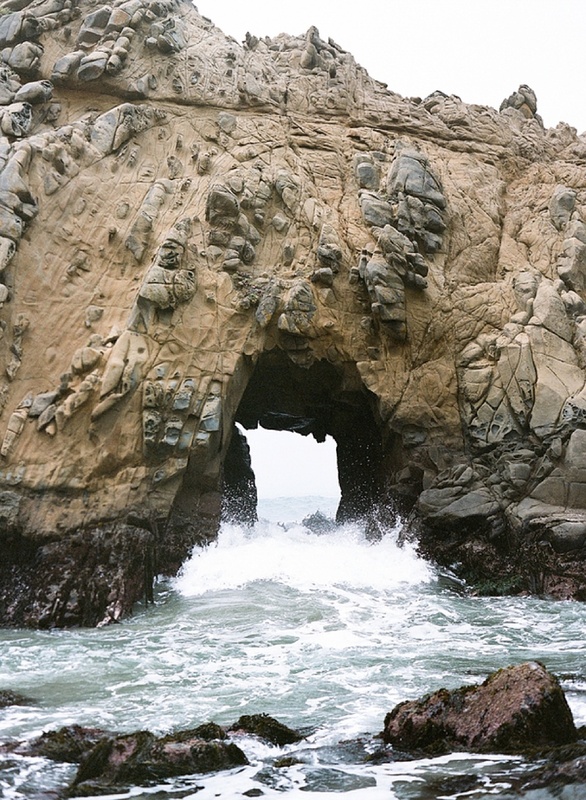 The rugged coastline of the Sunshine State is the perfect background for romance. 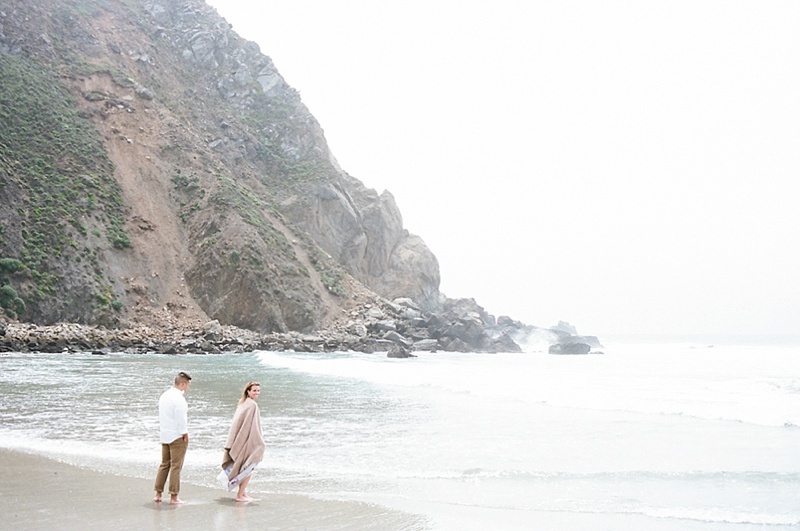 elebrating two years of marriage in the Big Sur region of California, Kristin and Adam journeyed up the Pacific Coast Highway to the woodsy chic Ventana Inn. Experiencing ‘firsts’ together has been important to the couple. 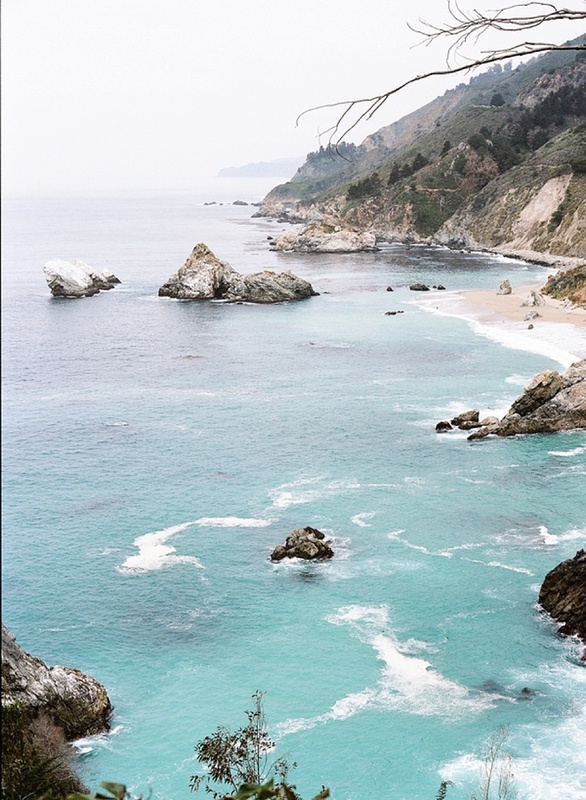 With Big Sur being on their travel bucket list, it only seemed to be the perfect destination for sharing another precious moment together: the recent news that they would be parents soon. 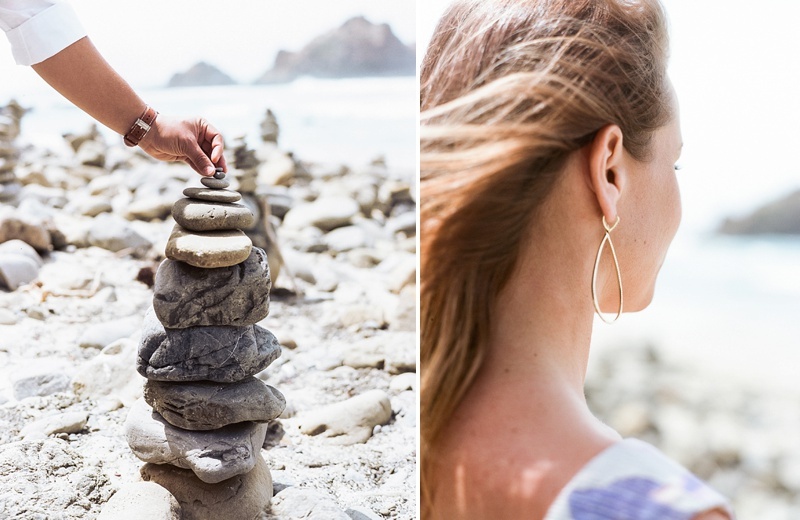 Stepping onto Pfeiffer Beach, Kristen, Adam, and their destination film photographer, Rochelle Cheever, were greeted with the salty air of the rugged coastline. 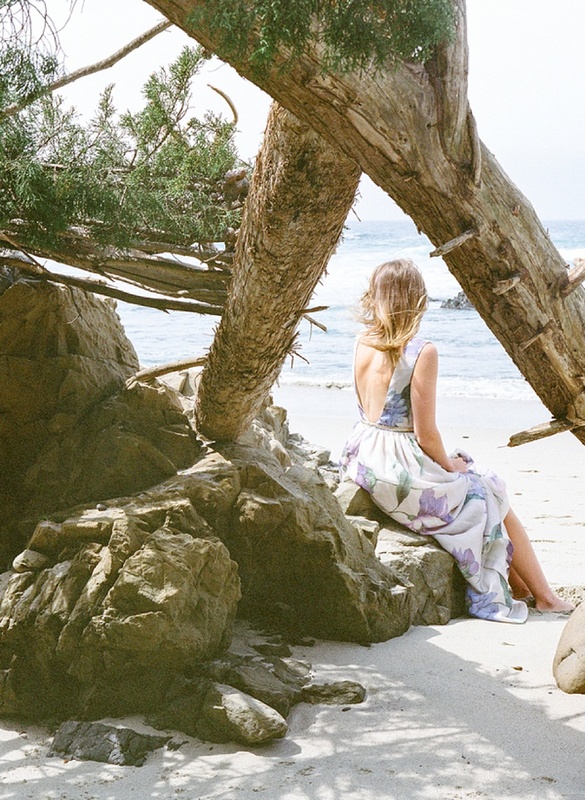 There are beautiful patches of purple sand that perfectly complemented Kristin's flowy floral printed dress from BHLDN and Adam's earthy brown Minnetonka moccasins. 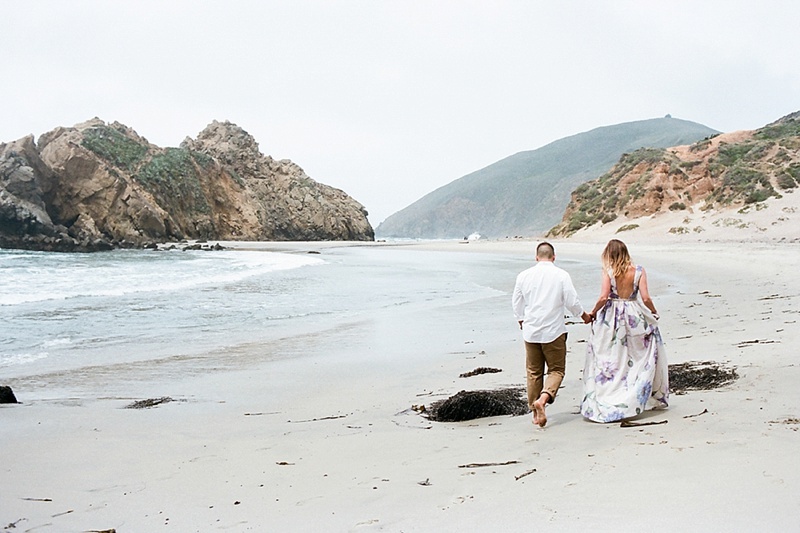 Between the romantic setting and their casual chic style, these two lovebirds had the true Californian vacation experience as they walked hand-in-hand admiring the textural beauty of Big Sur's jagged rock formations and pine trees dotted along the beach.